Last October I went to Professional Beauty North in Manchester and found myself getting dragged into one of the stalls, as you do in all of the beauty events. 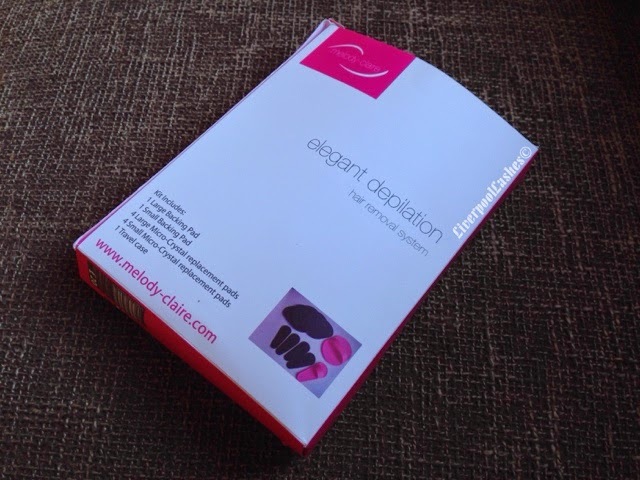 Bezzie and I ended up having a demonstration of the Melody Claire Elegant Depilation Hair Removal System which to be honest, I never thought I would end up buying but you know I love to try things! The idea behind this system is basically gently rubbing away the hair meaning no waxing or shaving. The kit includes a large backing pad, a small trianglar shaped back pad and then 4 small and large replacment Micro-Crystal pads. To remove the hair you gentle move the pad in a circular clockwise motion twice or three times and then anti clockwise for the same amount of time. You should find that your skin is then smooth and hair free. I have tried it out on my legs and it works brilliantly. It's particularly great for it you've had a shower (for example) and forgotten to shave your legs, it's a great alternative to getting back into the shower or having to dampen your skin again, apply shaving gel and shave them. It's also great for if you have shaved and then released later that you've missed a bit! However, let me tell you what I actually use my kit for which is my face. No I'm not slowly turning into a werewolf but I like to remove the peach fuzz at the side of my cheeks for a smoother make up application. It works fantastic on my face but I have to be very careful as if I go over the same area too many times I do end up with dry patches a few days later. For this reason I'm very strict with it and do two circular motions one way and then the opposite way only and my skin is fine later on. The bottom line is that I love this product! I have had it for 8 months now and I'm not even through half of the pads. 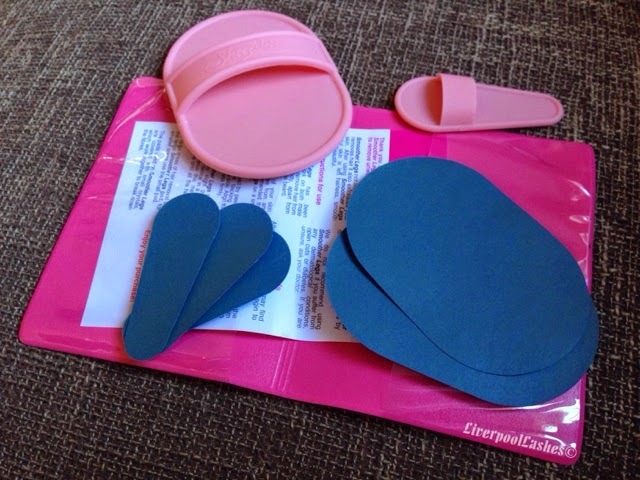 When the time comes I shall definitely purchase more replacement pads and I highly recommend you try this system out for yourself!